Did you know that 65 percent of American adults have bad breath on a regular basis? Chronic bad breath may be embarrassing and something that you don’t want to talk about, but it affects more people than many know. Because chronic bad breath is such an epidemic, your dentist in Las Cruces is here to discuss how to keep it away and treat it when necessary. More than morning breath after a full night’s sleep, coffee breath from your daily dose of caffeine, or even smoker’s breath puffing on cigarettes or cigars, chronic bad breath poses serious difficulties in day to day life and health. We want you to be able to eliminate bad breath causers so that you can speak to anyone confidently—plus, better breath means that you’re in good oral health! While you may think that strong foods such as onions and garlic cause distasteful breath, it’s really what’s left behind from any meal or snack that can be the culprit. Carbohydrates and sugars harbor oral bacteria within the mouth. These various microbes, numbering in the millions, give off VSCs or Volatile Sulfur Compounds, both of which smell like the common egg. Your tongue harbors the most bacteria in the mouth, including the bacteria that can cause your breath to smell different. Without proper brushing, flossing and professional cleanings with your local general dentist, a stinky film can form on the teeth, gums, and tongue. The usual result is tooth decay, gum disease and—you guessed it—chronic bad breath. When your dentist examines your mouth, he first inspects for signs of tooth decay and gum disease. Advanced gum disease is a common cause of persistent bad breath and is xerostomia or dry mouth which can develop with the use of medications. Besides oral health conditions, systemic health impacts breath odor. Poorly controlled diabetes gives rise to distasteful breath, and kidney failure is another culprit. Other infections such as pneumonia and sinus diseases leave a bad smell l in the oral cavity because of infection and accumulated mucus in your head, neck, and throat. Your local general dentist recommends thorough dental exams and cleanings at least every six months to keep plaque and tartar at bay and also to check for decay and periodontitis. Of course, brushing twice a day with a quality fluoride toothpaste should be a regular habit to ward of dental problems. Plus, floss at least once a day, and some people use a plastic tongue cleaner to scrub the tongue free of food residue. If it’s been longer than six months since your last checkup and cleaning, feel free to call your local dentist right away! 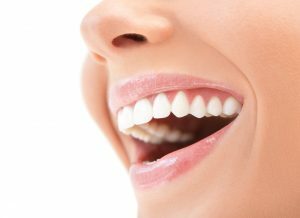 Here at Painted Skies Dental Center, we know how important it is to feel confident in yourself—this includes how your mouth looks, feels, and smells. Whenever you have a concern, even if you think it might be embarrassing, you can trust our dental team to address it in a professional way! Call us today to schedule your next visit.